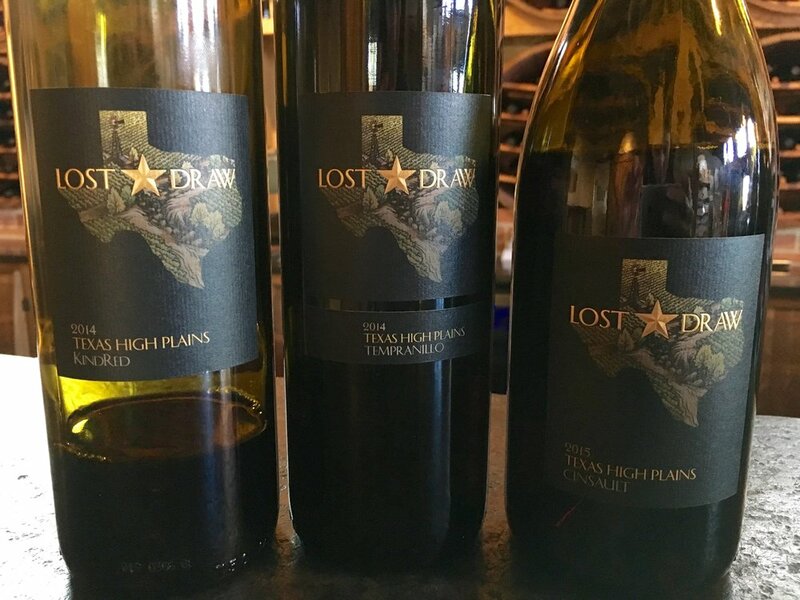 Wine: When I asked several producers and winery staff what other winery I should visit, hands down the answer was Lost Draw. Andy Timmons, who started as a peanut and cotton farmer, founded Lost Draw in 2013. He is revered among the top TX producers as he has been growing their grapes for 10 years in the High Plains AVA (where a big portion of the best TX grapes are grown because they mature well in the hot, sunny climate, but they also retain enough acidity to balance the ripeness due to the higher elevations and cool nights). 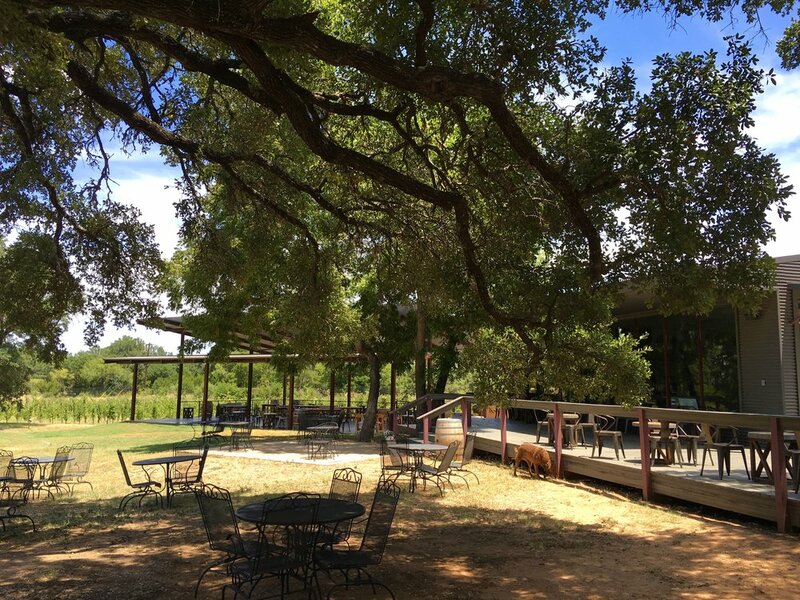 Andy works with winemaker Kim McPherson, who runs his own winery and whose father is one of the founders of the modern TX wine industry, to make his wines. And they are delightful. Tasting of 6 wines: 1. 2014 Roussanne (citrus, stone fruits, bright and crisp--surprising for the usually rich roussanne!) 2. 2013 French Colombard (green apple, citrus) 3. 2014 Viognier (ripe peach, tropical) 4. 2015 Cinsault (strawberry jam, white pepper, beaujolais-style) 5. 2014 Tempranillo (cherry, raspberry, earthy) 6. 2014 KindRed: Sangiovese, dolcetto, barbera, montepulciano (strawberry, plum, herbs). My take: Highly recommended. You can geek out on the delicious LD single varietal wines (and get to know those grapes' characteristics) or enjoy how grapes play off of one another in their blends. 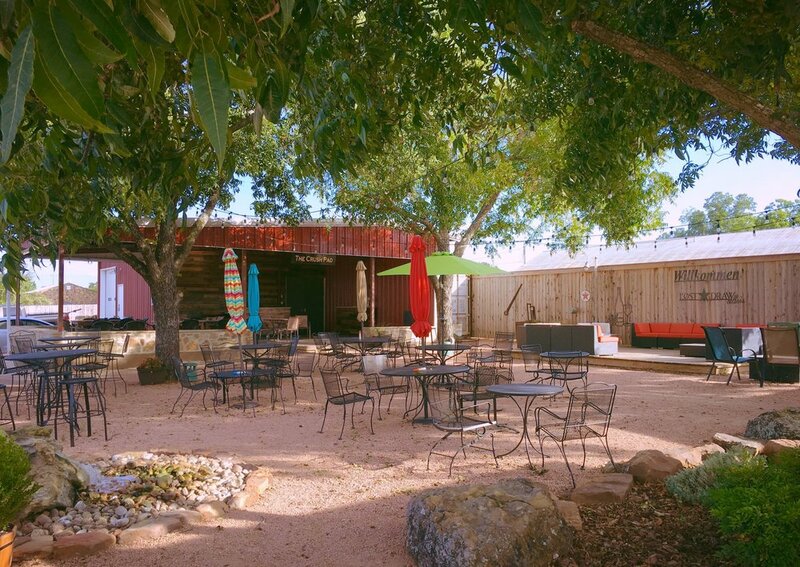 The tasting room is in Fredericksburg. CJ runs a laid-back experience that can be as fun or informative as you'd like. More on Lost Draw. Wine: Texas spirit with European style. What a fun place with great wines! 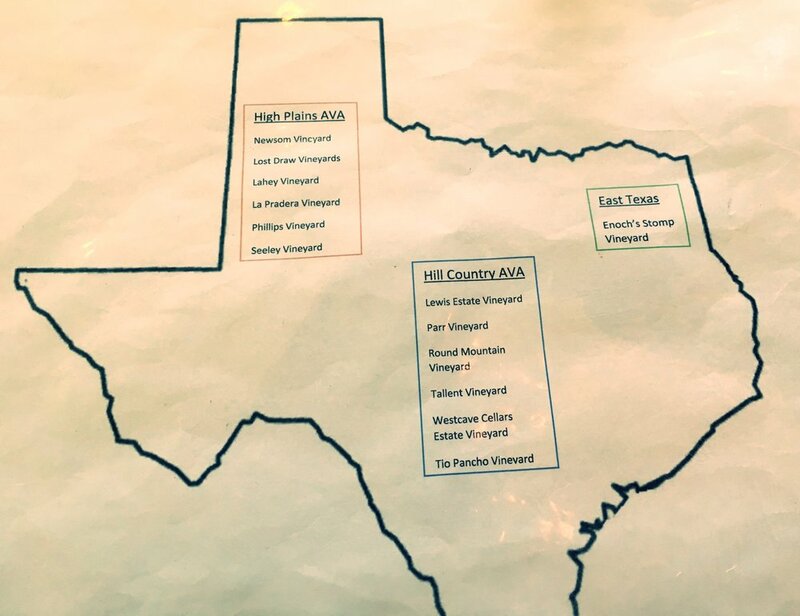 Grapes that do well in the hot areas of France and Italy are what Bill and Chris are growing and working with growers in Hill Country AVA and High Plains AVA to make their wines. They take both a classic approach like their 100% Sangiovese and their Artist Blend or Enchanté but also a playful course with their Pet-Nat (sparkling rosé) and their Enoch's Stomp or Mary Ruth (white blends). Groups with diverse wine tastes will easily find their happy place here. My take: A beautiful property with delicious wines. Plenty of space to stretch out for a couple of hours inside the original farmhouse, outside on the large, covered deck or under a leafy oak tree. A name to watch in American wine for sure...more on William Chris. Wine: I get an "Old World" (less flashy, neutral or subtle oak, terroir-driven, fruit not too ripe, some earthiness) vibe from Doug Lewis's wines. He is working with grapes known in France and Spain for centuries, such as tempranillo, cinsault, mourvedre, viognier, syrah, malbec and cab sauv and cab franc. In 2014, Lewis planted some of the 100 acres on their Hill Country AVA estate with the Portuguese varietals touriga nacional, alicante bouschet, tinto cão (all red) and arinto (white). Plus tannat, a thick-skinned grape from southern France and widely planted in Uruguay that makes robust, smoky wines (BBQ!). It will be a few years before these vines will be ready to produce wine. I am excited Lewis decided to fully explore the terroir connection to Alentejo/Portugal this area so wondrously has. Cannot wait to try those wines! Tasting of 6 wines, made from 100% of grapes from either Hill Country AVA or High Plains AVA. 1. Swim Spot: blanc du bois, muscat, viognier (spritzy, citrusy & light, like a vinho verde!) 2. High Plains Rosé: cinsault, mourvedre, cab sauv (tropical & melon) 3. Mourvedre Rosé: 100% mourvedre (strawberry) 4. 2012 TX Red: Mourvedre, syrah, cab franc (raspberry, black cherry, earthy, cinnamon) 5. 2012 Newsom Reserve: malbec, cab franc (dark fruit, cloves) 6. 2012 TX Tempranillo Reserve: Tempranillo, grenache, graciano (plum, chocolate, vanilla). My take: I loved it. 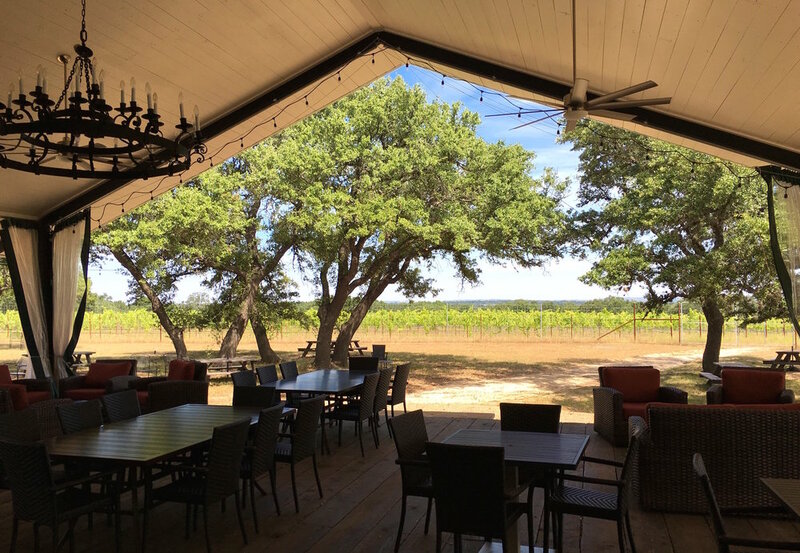 Delightful wines and the huge, covered back porch is such a pretty place to taste and dream of a trip to Portugal (or Luckenbach! 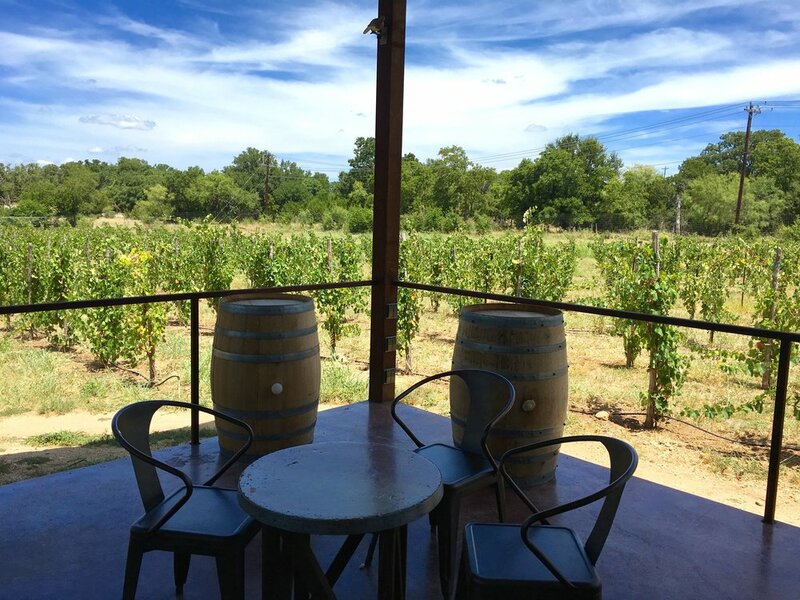 )...Reserve in the tasting room with Victoria, who knows her stuff (outside of TX wines too). A must during a day of vineyard visits along Hwy 290. More on Lewis Wines.